Posted by Sam Smith on Wednesday, March 14th, 2012 at 9:10pm. 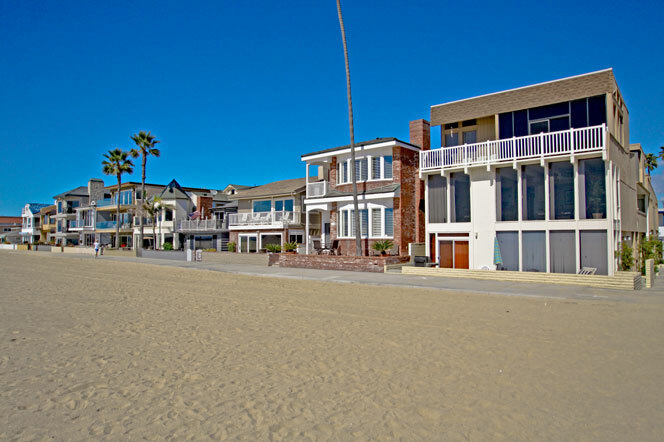 Newport Beach home prices have really come down especially when looking at beachfront homes. Long gone are the days when beachfront and ocean front homes were selling for well above $5 million dollars. With today's economy finding an oceanfront home in Newport Beach under $5 million has become a lot easier to find. Currently, there are 21 beach front homes for sale under this price point with a great selection of architectural gems on the market. We got inspired when we saw a price reduction on this beachfront home located on the Balboa Peninsula that really captures the lifestyle of living on the beach. We find that a lot of beach front buyers have a lot of choices now when considering a home. There are various homes located on the sand up and down the coast in Orange County from San Clemente to Huntington Beach but we have found the best bang for you dollar can be found in Newport Beach! Laguna Beach will also have a great selection of homes but will typically have higher price points and and not have the huge beaches that Newport Beach is well known to have. The buyers are definitely back into the marketplace and making offers on these spectacular homes. We still are seeing some good deals out there so don't wait too long to acquire one of these great homes. We know the Newport Beach Real Estate market very well so please call or email us today with any questions, we are here to help.